JINJA – Bul FC will host Maroons at the FUFA Technical Center in Njeru as the StarTimes Uganda Premier League continues. Peter Onen’s Bul side have been in fairly good form of late, sitting 5th on the League log and into the last 16 of the Uganda Cup. In an attempt to ensure consistent results, the Jinja based side have added three new players in their ranks. They signed Jimmy kulaba, Ezekiel katende and Charles Ssebutinde. All three are in line to make their debuts on Wednesday. For Maroons, they struggled in the first half of the season and currently sit only 5 points off relegation. Maroons couldn’t have asked for a worse time to face a spirited side like Bul as they are currently without a head coach following George Best Nsimbe’s departure earlier this month. Nsimbe left the club into the hands of his assistants David Obua and Robert Ssekweyama claiming to be going for further coaching studies in Tanzania a course which is likely to run for two months. At this point in time, the Prisons’ side will hope the likes of Solomon Walusimbi, Eddie Kapampa and Pius Obuya can inspire them past Bul. Going into the game, Maroons will be expected to hand new signing Isaac Otto his competitive debut after capturing him from Kiboga Young. They will however be without Maxwell Okello, Brian Majwega, Ivan Wani and Martin Mpunga due to injuries. This will be the 8th top flight meeting between the two sides. In the first 7, Bul have won 5 and lost two. This fixture has never produced a draw. The first meeting between the two sides this season, ended in a 2-1 victory for Bul. In the reverse fixture last season, Onen’s side triumphed 2-0. Bul head into the game having won only two of their last 6 league fixtures (D2 L2). At home, the Jinja based side are currently winless in their last three games (D1 L2). 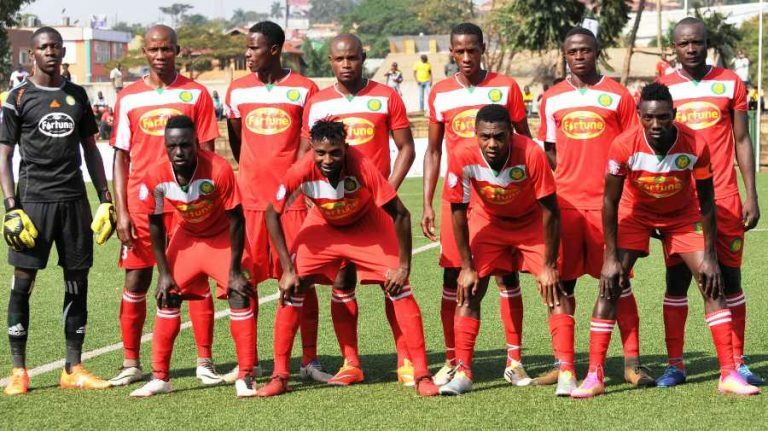 Their latest home victory was the 1-0 win over Onduparaka at the start of last month. For Maroons, they have won only two of their last 8 League games (D4 L2). Away from home, the Prisons’ side have been dreadful, winning only one of their first 8 games (D4 L3).